This article shares how using the mannequin challenge was a creative and fun way to share learning in a PYP classroom. It was also an effective way to ensure that students practice active listening skills and extend their knowledge. One fundamental practice in my classroom is to provide opportunities for students to share their learning, wonderings, questions and discoveries. Recently, I incorporated a popular global activity called the mannequin challenge in my mathematics lesson. It was a student friendly, meaningful and fun way to practice listening and speaking skills. As a provocation for a mathematics lesson, students collaborated and discussed their prior knowledge of 2 and 3 dimensional shapes. As they engaged, their conversations included differences between 2 and 3 dimensional shapes, descriptions of geometric shapes, a little about properties and they debated what they learned in previous classes. I wanted to extend students’ learning so they understood that geometric shapes are all around us. Consequently, I asked them to conduct personal inquiries. Using approved search engines and websites, they discovered new ways geometric shapes are used in the real world. As they commenced their search, they came across the familiar, for example: a soccer ball is a sphere, dice are cubes and a liter bottle is a cylinder. I challenged them to go deeper and look for new knowledge. Not long afterwards, I heard ohhs and ahhhs. They grew excited and began to call out or come up to me – all talking at once. The conversations were rich and I wanted all of them to benefit from what I was hearing. And I needed to channel some of this excitement as well. Half of the class were asked to take positions around the room, sitting, standing, whatever. On the count of three, they had to strike a mannequin pose and hold it. The remaining students stood in front of at least three mannequins and shared their new learning. Then the roles were reversed. 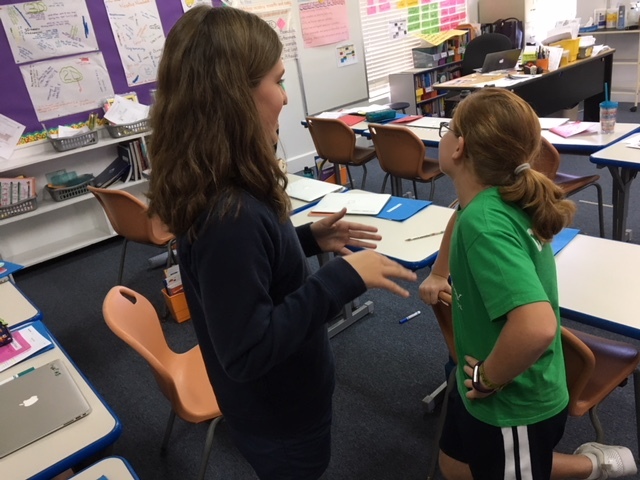 As students walked around to their peers to share their new learning, I followed close behind to listen and assess whether or not they grasped the conceptual understanding – geometry is all around us. And they did! Using the mannequin challenge was a creative and fun way to have students share their learning. It was also an effective way to ensure that students practiced active listening (without interrupting each other) and extended their knowledge by hearing from their peers. Purposeful talk enables learners to articulate their thoughts and understand the world around them. The mannequin challenge facilitated this. Primary Years Programme. Making the PYP happen: A curriculum framework for international primary education. January 2007 (revised December 2009). 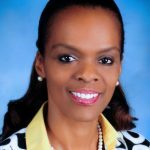 Katina Seymour is a 6-year PYP teacher who takes a leading role with curriculum development and teaching and learning at her school, Lyford Cay International School, in Nassau Bahamas. She is excited about the PYP and concept-based teaching. Katina is looking forward to the enhancements of the programme and is already seeking ways to promote student agency and develop a culture of community learning and decision making. She aspires to become a workshop leader, PYP Coordinator, and to teach at another IB World School outside of the Bahamas. She tweets at @SeymourKatina.